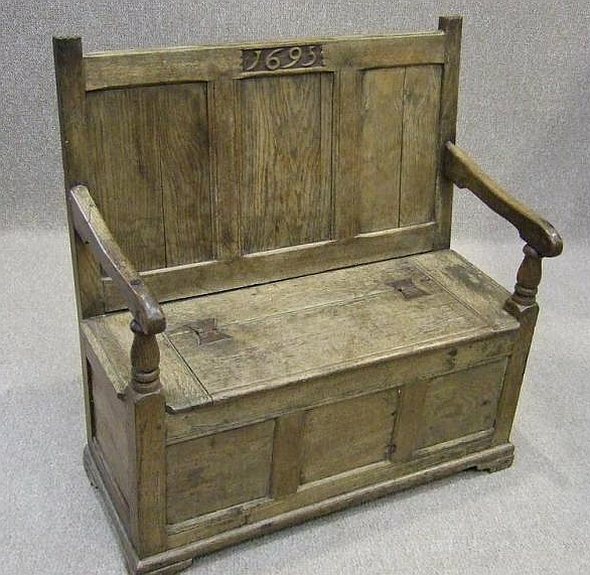 An attractive circa 1750 small oak box settle. 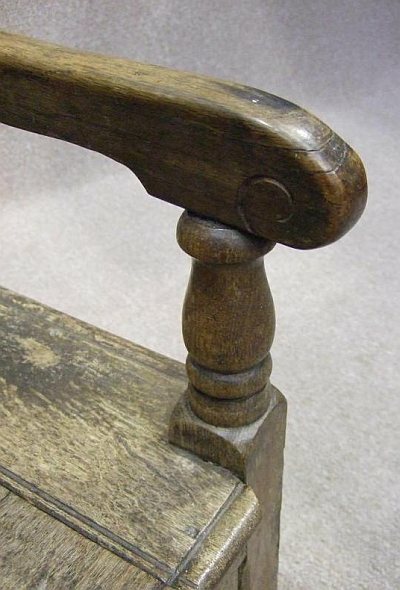 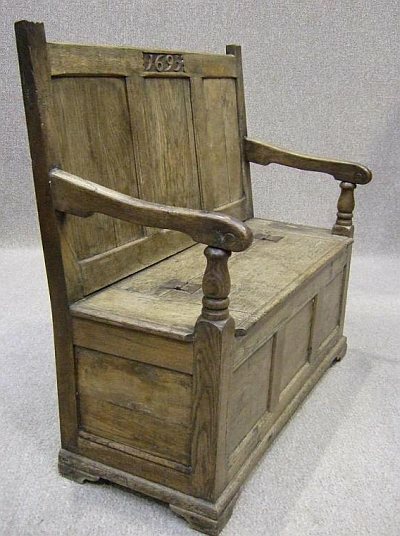 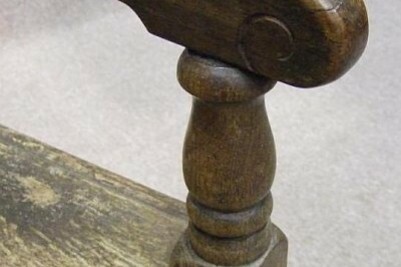 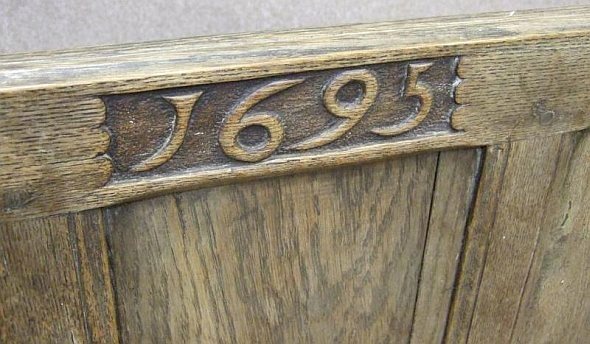 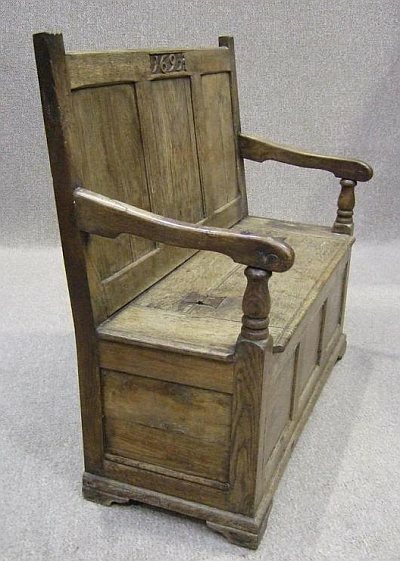 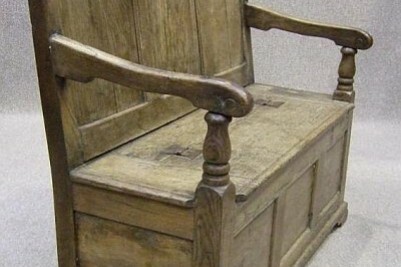 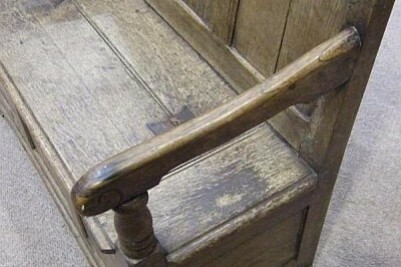 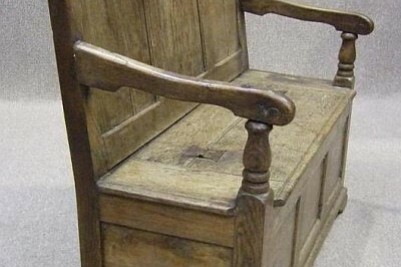 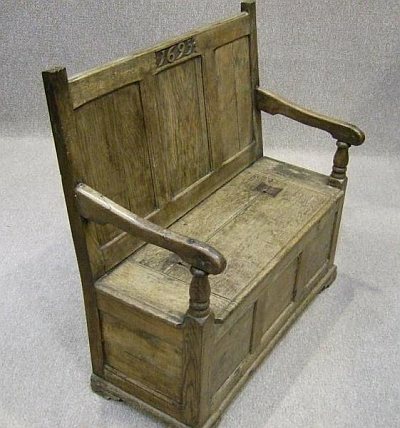 Featuring out swept side arms supported by turned columns, this item has a convenient lift up seat, and as the photographs show, it has been carved with an earlier date. 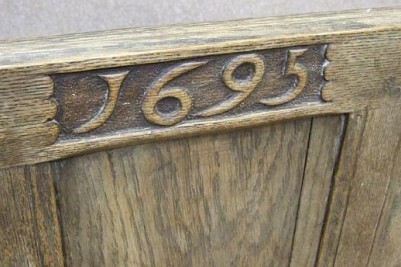 We do not believe that it is William & Mary. 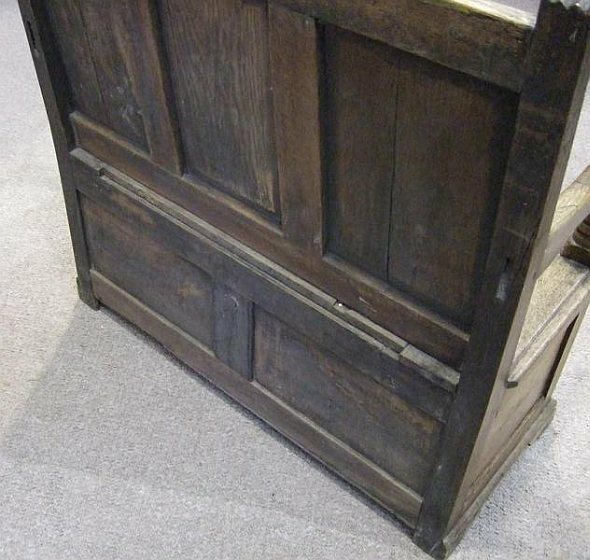 As you can see by the photographs, this item is quite faded in colour, but this could easily be rectified by using some dark wax, and a good polish. 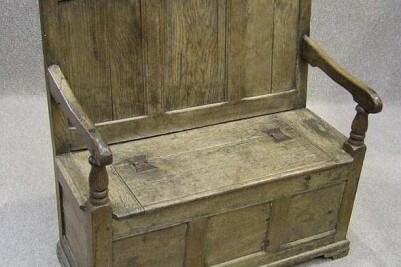 This is an extremely small and rare piece of furniture due to its size. 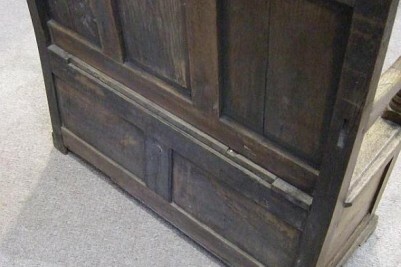 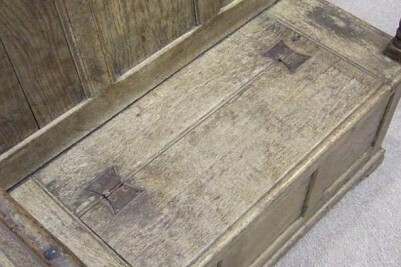 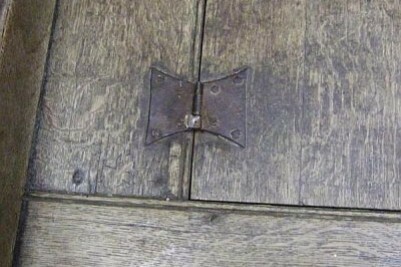 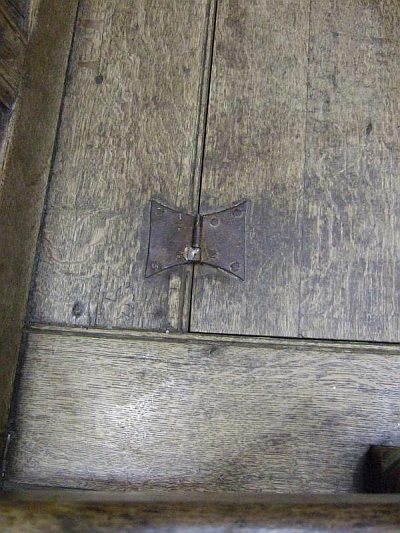 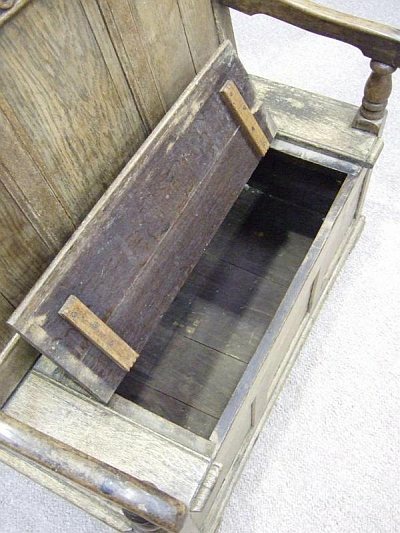 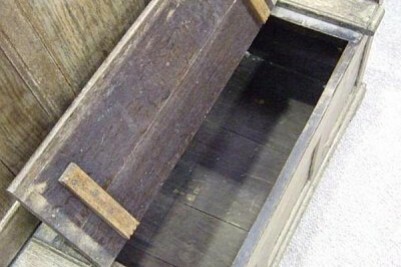 The item is in good condition with no loose joints, and we believe that it is still fitted with the original hinges. 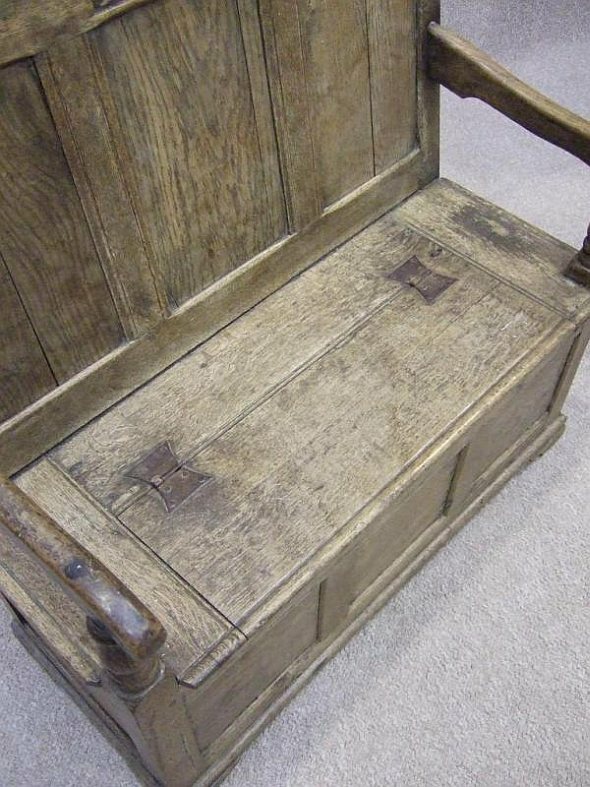 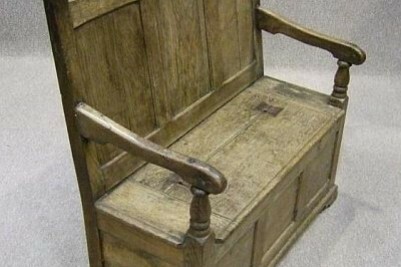 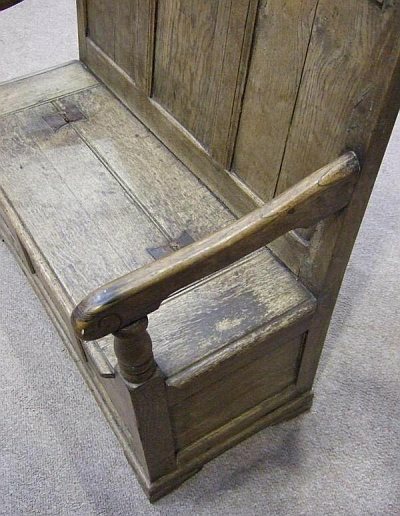 A good, sturdy piece of furniture for any period property.